Nothing is more festive than wearing the classic red lip during the holidays. The red lip creates an instant glamorous yet polished look that is appropriate for all holiday gatherings. Here is a list of the top five low end and high end red lipsticks that is worth the investment during the most wonderful time of the year. To learn how to make your lipstick last throughout an entire party, please read my post on 5 Ways To Make Your Lipstick Stay On All Day . This is a new favourite; one of the most moisturising and non-drying matte lipsticks one the market. It is a brighter red that instantly brightens up your face and makes you look more youthful. One of the most inexpensive red lipsticks around. This lipstick works exceptionally well on those with warm undertones. The packaging may not be the most durable, but the product itself is moisturising and wear well for the price. A favourite for many years, this red lip has a little bit of a coral undertone. Known for its creamy consistency and long wear ability, Revlon Super Lustrous Creme formula lipsticks are not only affordable but comparable to many high end brands. Pair this red lip with a cherry lip liner and its known to give you the classic Snow White red lip. Since it has a matte formula, remember to exfoliate your lips and apply lip balm before putting this lipstick on. 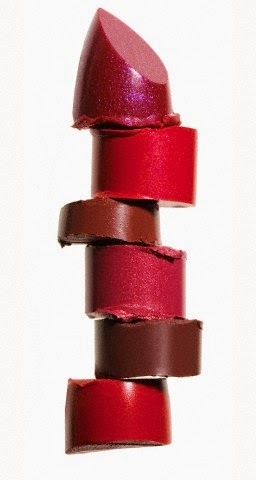 NARS is known for its high impact and bold lipsticks. Red Lizard is a slightly darker classic red that has a flattering blue tone which makes teeth appear whiter.